But you need vertical learning experiences, too: ones that drill down to a specific level of detail on an individual project, so you can see how something works or doesn’t work. 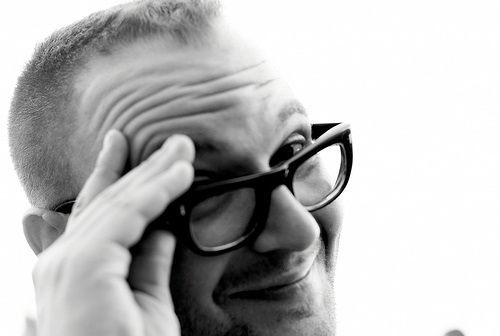 Cory Doctorow is providing that level of vertical detail, and a potential toolkit, over at Publishers Weekly, as he begins to blog about his experiences self-publishing his new collection. I’d suggest checking out his posts periodically and taking notes. The point isn’t to replicate what he’s doing, but to develop a strategy based on his experiences that fits your life and your work. Much still depends on context. I know Cory gets frustrated by people saying he can only do these things because he has the Boing Boing platform, but the general truth is: you do need some kind of leverage to operate at a high-level of visibility. Cory got there with a lot of hard work and talent, and so will you, if in a totally different way because every creator is different. So tailor your approach to what fits your individual goals and the visibility you can expect to get for your project. And definitely monitor that RSS feed from Cory on PW. This entry was posted in Uncategorized and tagged Building Your Booklife. Bookmark the permalink.